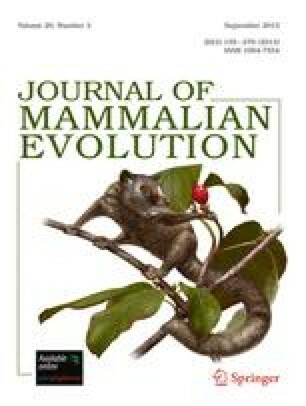 Analyses of anatomical and DNA sequence data run on a parallel supercomputer that include fossil taxa support the inclusion of tenrecs and golden moles in the Afrotheria, an endemic African clade of placental mammals. According to weighting schemes of morphological and molecular data that maximize congruence, extinct members of the afrotherian crown group include embrithopods, Plesiorycteropus, desmostylians, and the “condylarths” Hyopsodus, Meniscotherium, and possibly Phenacodus. By influencing the optimization of anatomical characters, molecular data have a large influence on the relationships of several extinct taxa. The inclusion of fossils and morphological data increases support for an elephant-sea cow clade within Paenungulata and identifies ancient, northern elements of a clade whose living members in contrast suggest an historically Gondwanan distribution. In addition, maximally congruent topologies support the position of Afrotheria as well-nested, not basal, within Placentalia. This pattern does not accord with the recent hypothesis that the divergence of placental mammals co-occurred with the tectonic separation of Africa and South America.